Steps in writing the essay: Choosing the topic. 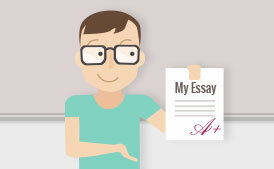 The research essay is one of the most popular writing assignments in colleges and universities. 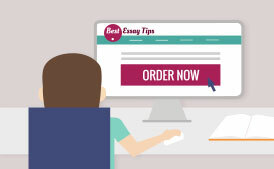 There are several indispensable elements that should be taken into account before you start writing the research essay. 1. You should choose an interesting topic. It will facilitate the process of the writing of your research essay as well as make the process more productive and fascinating. 2. Do research on the topic. 3. Design and write the research essay. Yet, these three easy steps are so easy for many students. 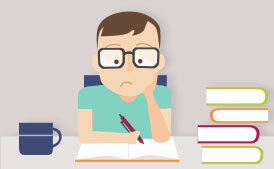 Many tutors are not satisfied with the papers completed by their students. One often can hear the complaints that the essays are imbedded with platitudes and generalities. Let us see how the research paper and essay writing must look like. The first step is to choose your topic. Some topics are assigned to you, but sometimes you have to choose. For instance, you might be studying "European history at the beginning of the 20th century". You may be asked to describe some events or some persons who, in your opinion, influenced the life and history of European continent at the beginning of the 20th century. First, choose an interesting and important event or personality for essay writing. Try to narrow your topic, you should not choose a general subject. Remember that a broad topic can be superficial. You can say much about it, yet you will not be able to provide deep analysis of the topic you research. For example, avoid topics like: "European countries at the beginning of the 20th century". The following one is much better: "The introduction of parliamentary system in 1907 in Sweden and its consequences for the political situation in this country in 1910". With this topic you have more possibilities for the analysis as well as for the research. Introduction. The aim of the introduction is twofold. First, it should acquaint your reader with the preliminary description of the topic. Second, you should state your research question. The introduction always comprises your research question. The Body. The body is the central part of your essay. Usually it consists of several parts where each represents some sub-headings of the topic. Often, students experience difficulties with designing the body of their essays. Of course, it is not an easy task; nevertheless it can be accomplished successfully once you have decided on the order of presenting your material. Sometimes, it is necessary to include the section that describes the assertions as well contentions of your opponents. Also include a separate section providing your point of view. The conclusion. Sum up the main points of your research and provide the reader with the logic conclusion.